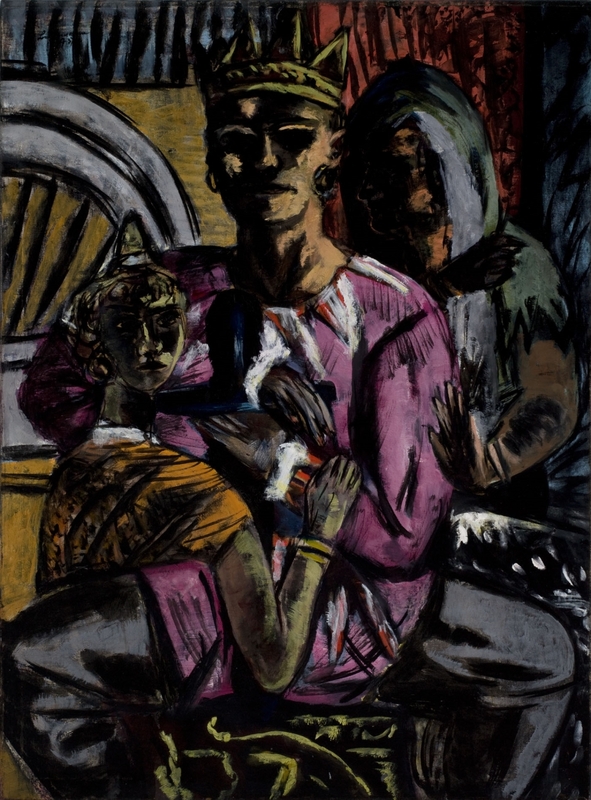 The Saint Louis Art Museum is home to 39 Max Beckmann paintings and about 400 Beckmann works on paper. Saint Louis’ Beckmann paintings collection is widely considered the greatest such collection in the world, and one of the greatest concentrations of any artist’s work in any American museum. 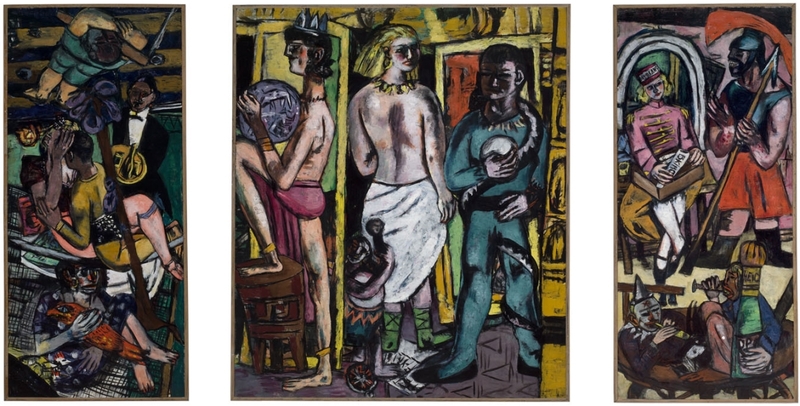 “Max Beckmann at the Saint Louis Art Museum,” out this month from Prestel, was written by art historian Lynette Roth. She began working on the project as a Mellon Fellow at SLAM. Today she’s curator of the Busch-Reisinger Museum, Harvard Art Museums, focusing on modern and contemporary art from German-speaking countries. 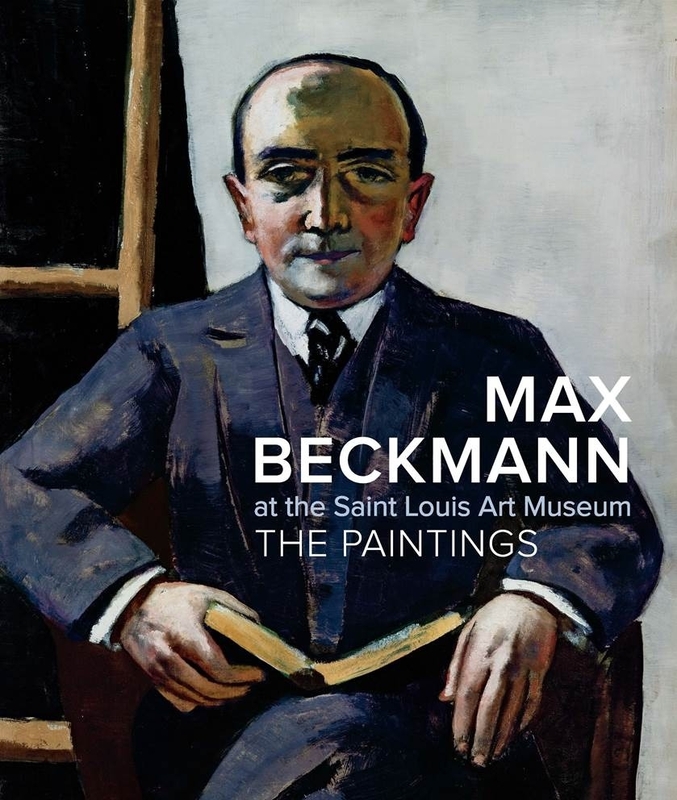 Amazon offers “Max Beckmann at the Saint Louis Art Museum” for $45. Air date: July 9, 2015. 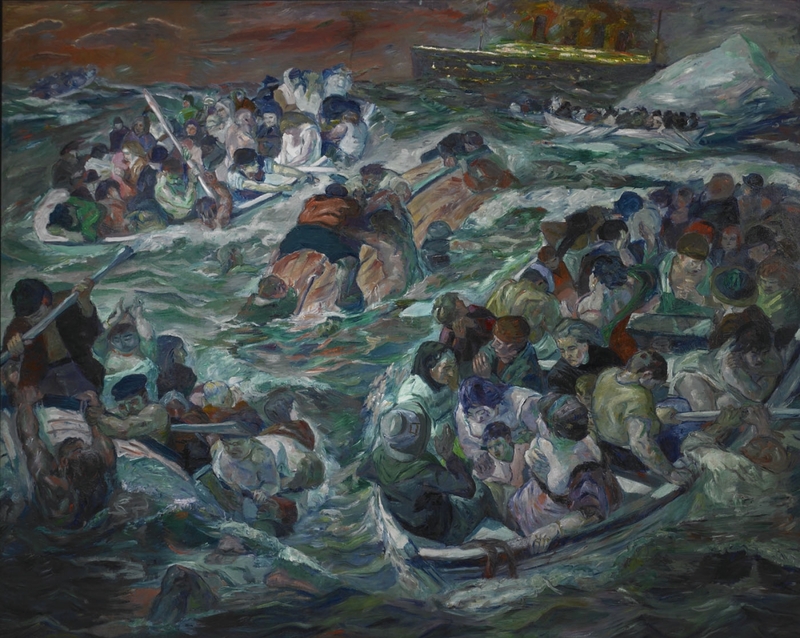 Max Beckmann, The Sinking of the Titanic, 1912-13. 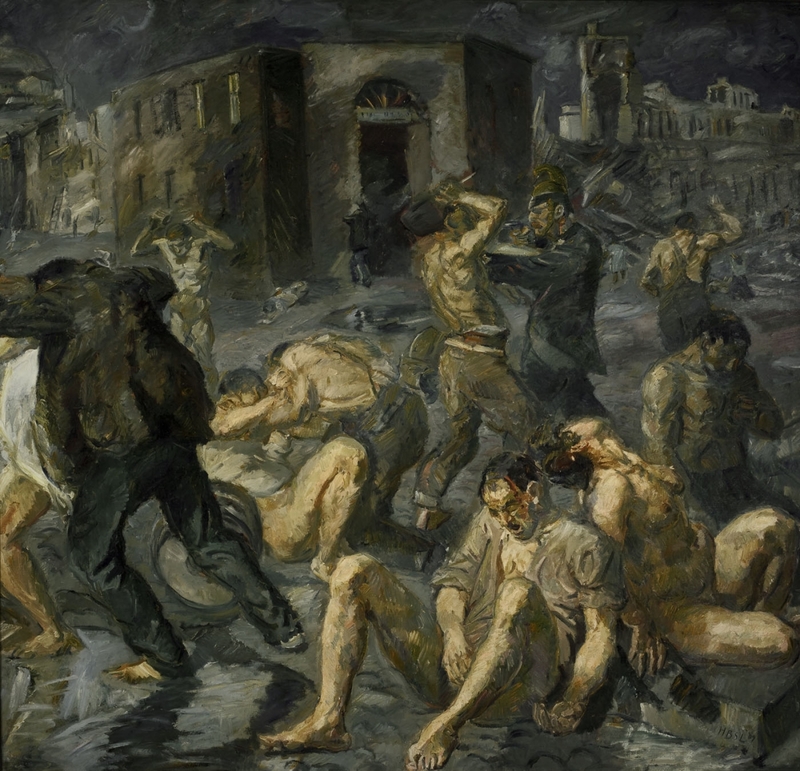 Max Beckmann, Scene from the Destruction of Messina, 1909. 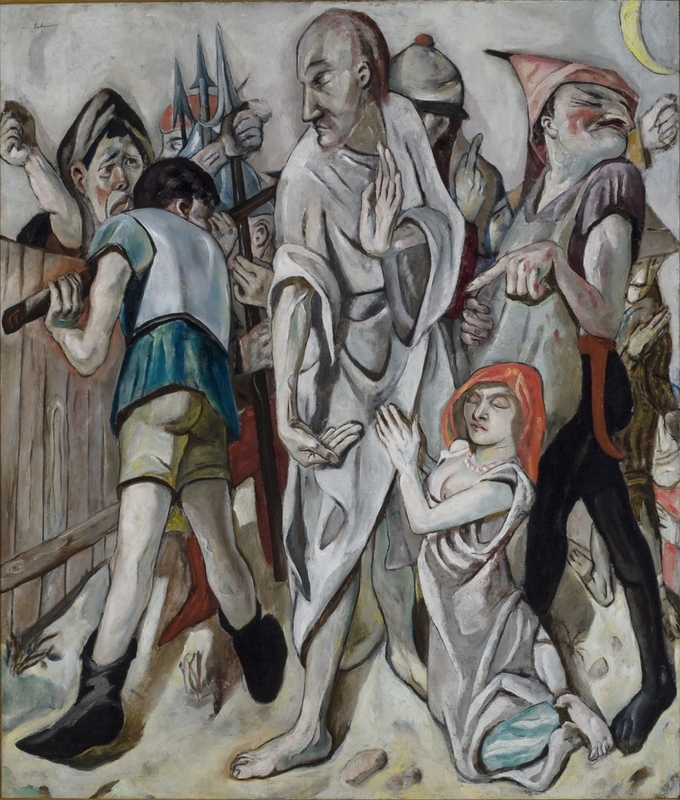 Max Beckmann, Christ and the Woman Taken in Adultery, 1917. 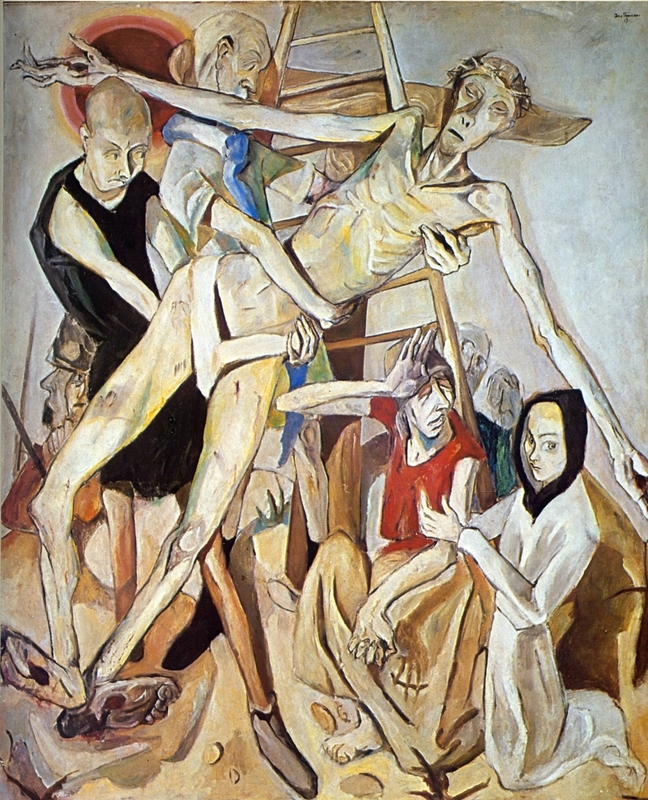 Max Beckmann, Descent from the Cross, 1917. Max Beckmann, The Dream, 1921. 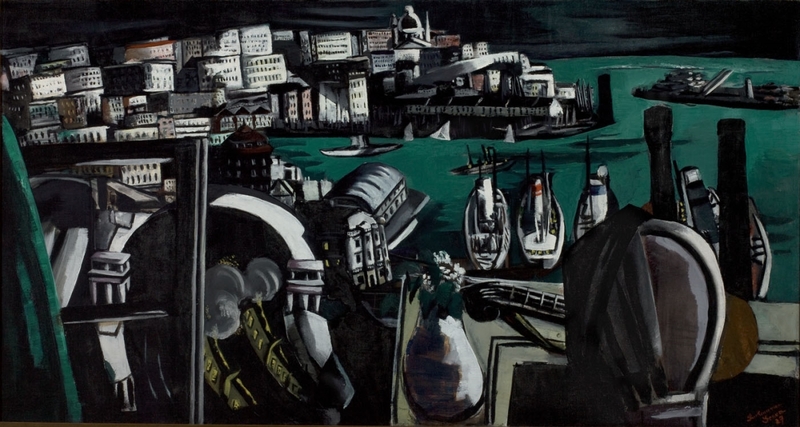 Max Beckmann, The Harbor of Genoa, 1927. 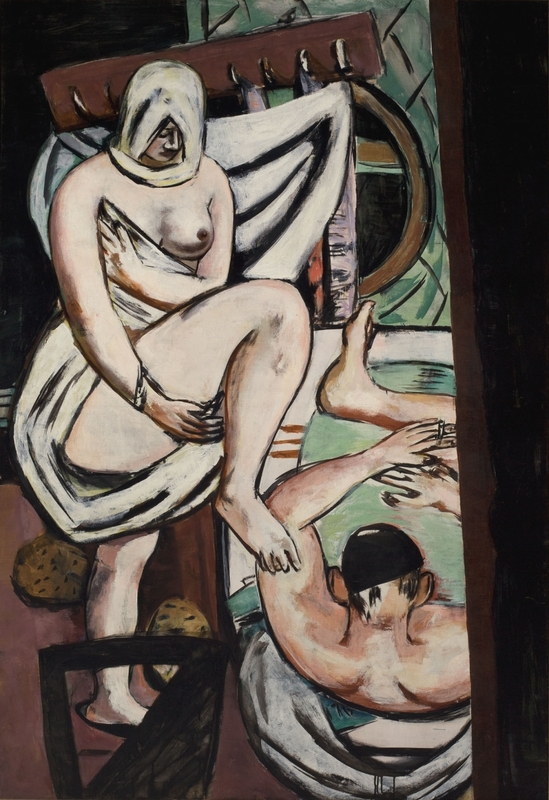 Max Beckmann, The Bath, 1930. 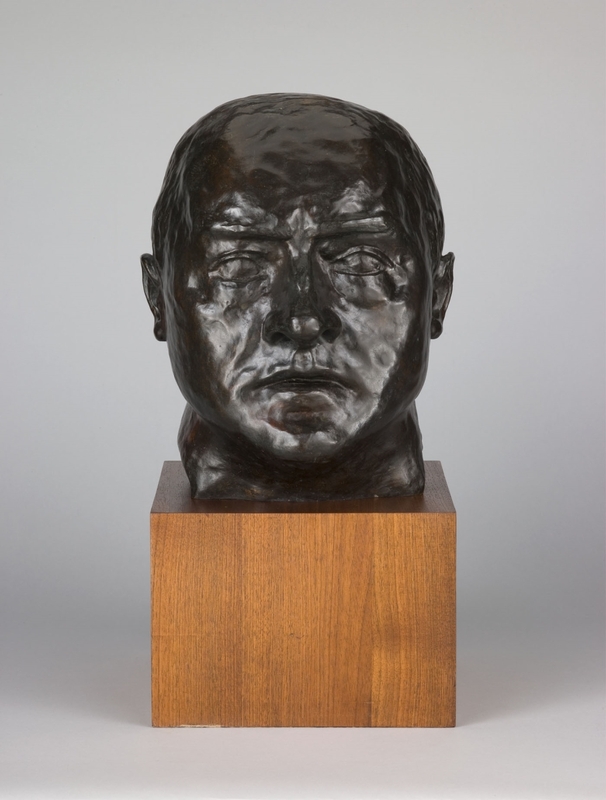 Max Beckmann, Self-Portrait, 1936, cast 1958-59. 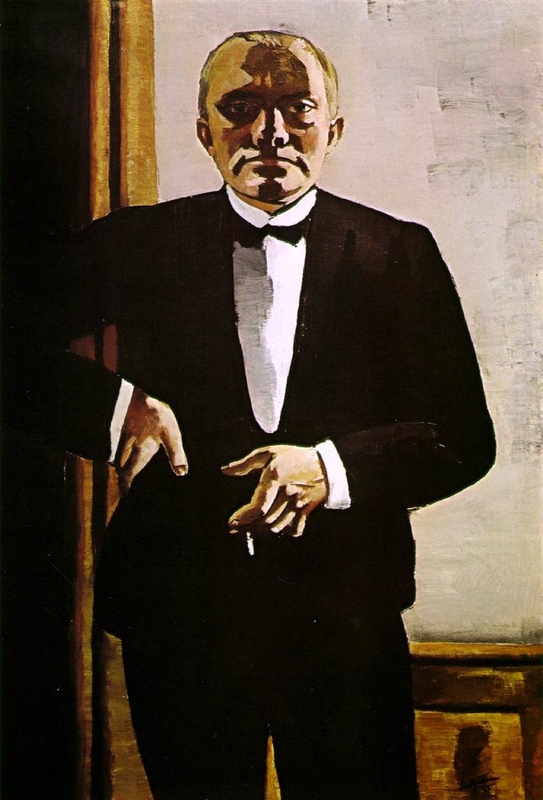 Max Beckmann, Self-Portrait in a Tuxedo, 1927. Max Beckmann, The King, 1933, 1937. 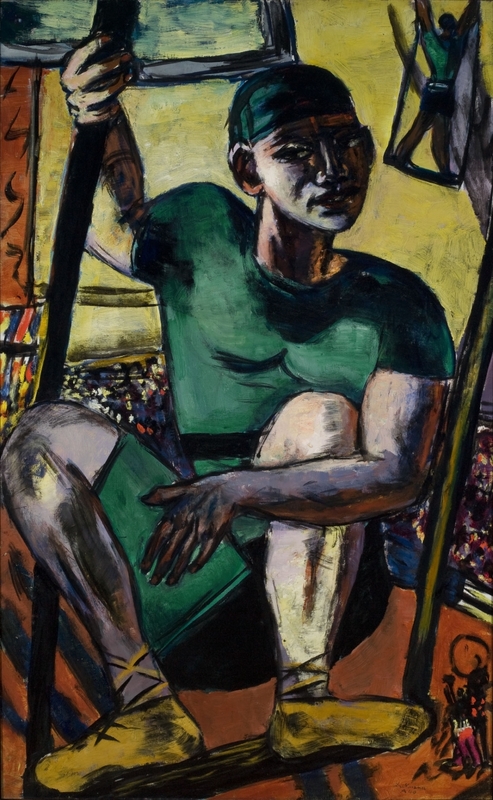 Max Beckmann, Acrobat on the Trapeze, 1940. 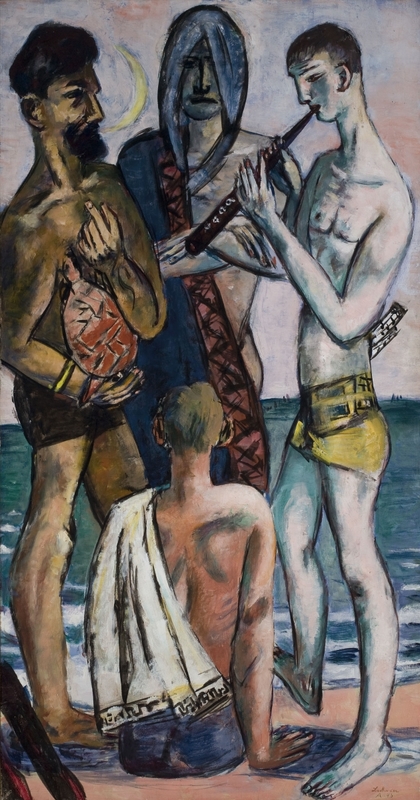 Max Beckmann, Young Men by the Sea, 1943. 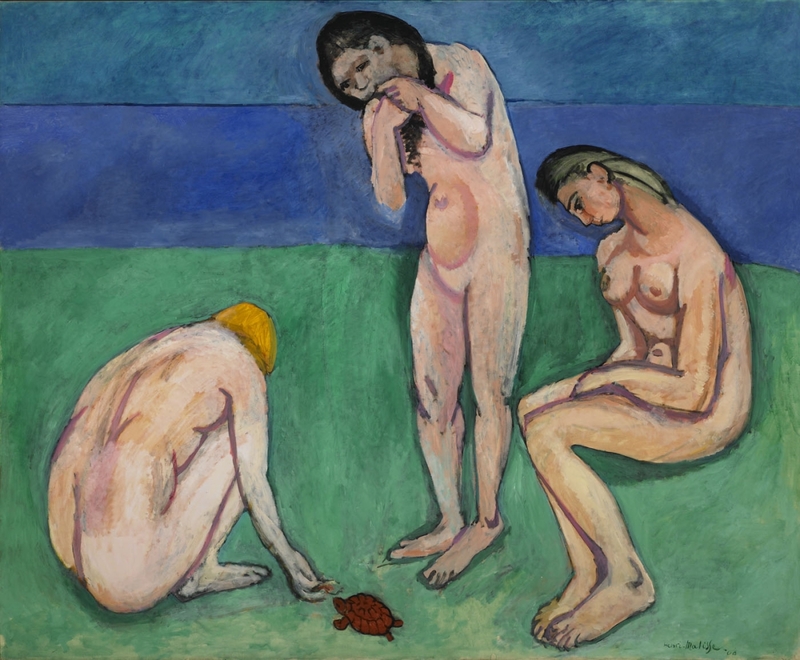 Henri Matisse, Bathers with a Turtle, 1907-08. 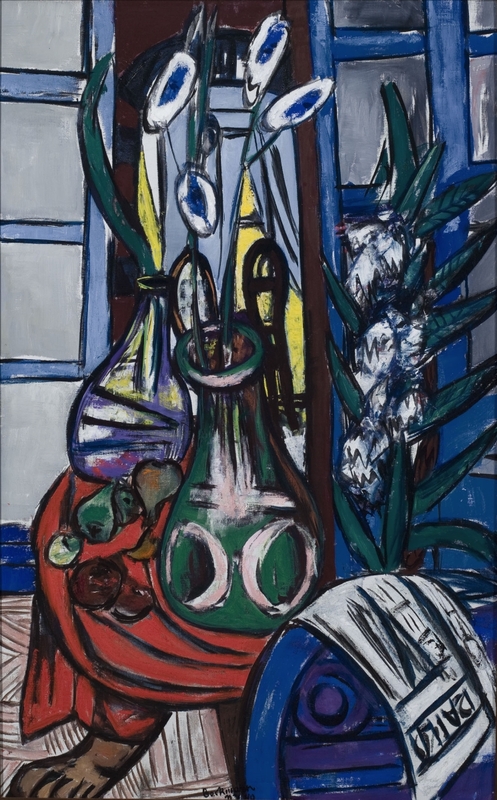 Max Beckmann, Large Still Life Interior (Blue), 1949. 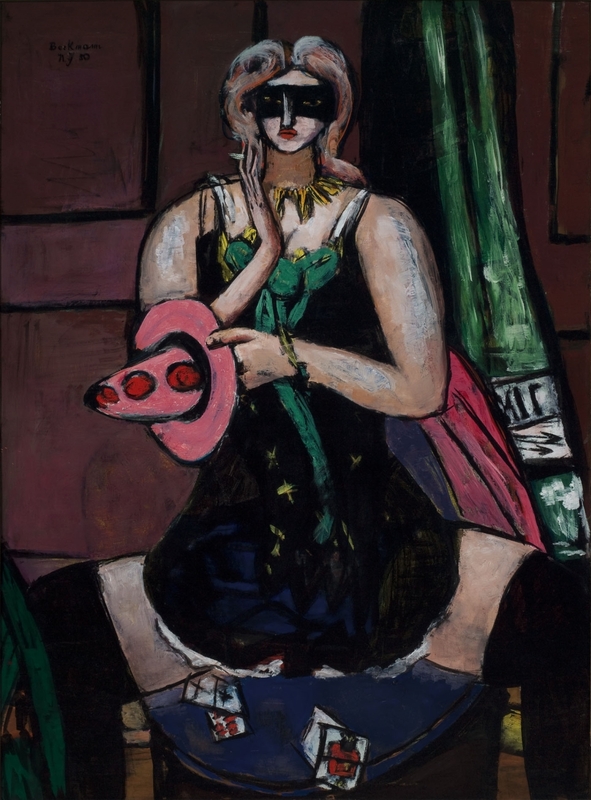 Max Beckmann, Carnival Mask, 1950. 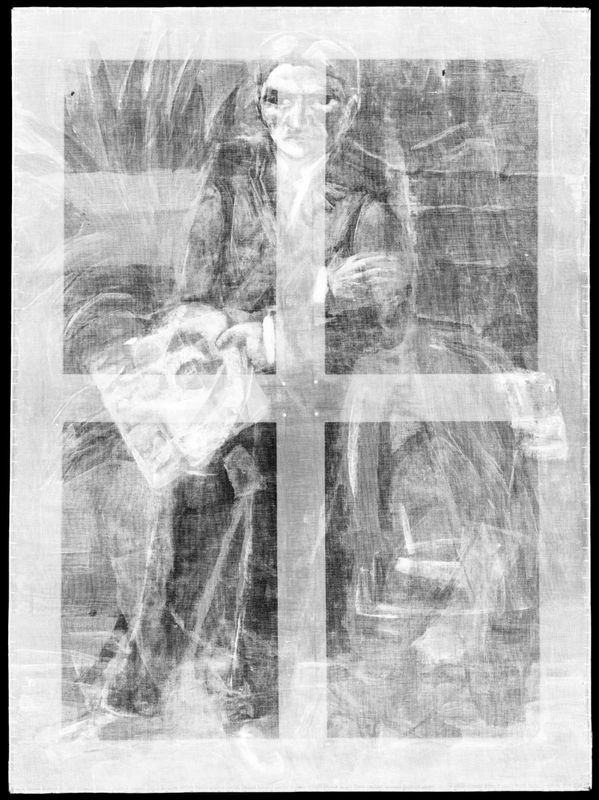 Max Beckmann, X-Ray of Carnival Mask, 1950. A terrific treat after perusing the first sections of Roth’s superb and comprehensive treatment. This lecture (and the book) are “works of art” that should be returned to from time to time, for sure. Besten Dank fuer ausgezeichnete Arbeit!